The development of vaccines to protect against potentially killer diseases likes polio, measles and pertussis (whooping cough) has been widely hailed as one of the crowning achievements of medicine in the 20th century. 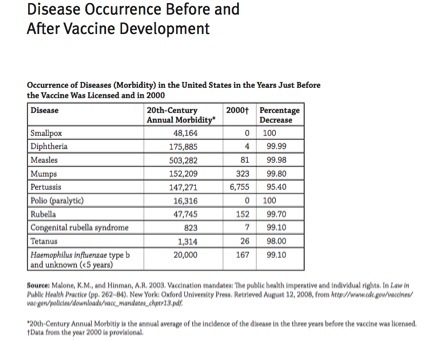 As the table below shows, the incidence of these, and other diseases, decreased by between 95-100% once vaccines were given. Many of us can likely remember hearing stories of family members who died from these diseases, or who were otherwise seriously and permanently affected from having suffered from these diseases. But are we taking this standard of care for granted? We are seeing the effects of “under-vaccination” already as outbreaks of pertussis (whooping cough) are becoming increasingly common. Medical researchers have discovered that boosters are necessary to keep immunity at proper levels for adults, especially pregnant women. The Centers for Disease Control and Prevention website is an excellent resource that provides guidelines for infants, children and adults. Evidence-based, scientific studies have proven the efficacy and safety of these vaccines, and there have been no studies to date that reveal vaccines to cause any harm. Still, some parents appear to believe that their children are better off without them, and one study revealed that “one in eight children went under-vaccinated due to parents choices,” (Reuters). What do you think? Do you vaccinate your children? We would love to hear your views on this important subject. Last month, many of us made New Year’s resolutions and we were being deluged with advice about how to eat sensibly, how to exercise our way to fitness, and how to develop and keep healthy habits. But let’s get down to basics: how well do you follow your doctor’s advice? Doctors will be increasingly held accountable for your overall health and wellness, and your progress towards sustained good health, under the Affordable Care Act (ACA). The ACA aims to increase the quality of care given and reduce the costs, thereby ensuring that the right care is given in the right place at the right time. More care has not proven to be better care, and reducing unnecessary and expensive screens and tests will go a long way to reducing health care costs. But patients have a responsibility too – and that is to listen to your physician and follow their recommendations regarding nutrition, exercise and taking your medications as prescribed. 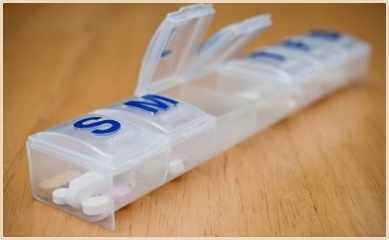 “Medication adherence” or “medication compliance” are terms used to describe what patients do once they receive a prescription from their provider, including filling, and then re-filling when indicated, taking the prescribed dose in the prescribed manner for the prescribed duration, and promptly reporting any symptoms or side effects to their provider. 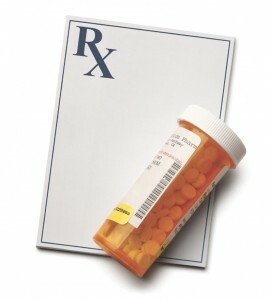 Adult Meducation is a good resource on medication adherence. It maintains “Medications are arguably the single most important healthcare technology to prevent illness, disability, and death in the older population. Of all age groups, older persons with chronic diseases and conditions benefit the most from taking medications, and risk the most from failing to taken them properly.” Consequences of nonadherence could be serious and lead to hospital admissions, falls, and preventable deaths. Why don’t some people comply with their prescribed medications? Some cannot afford them. Some may be too confused to remember to take them. Some may feel they are not working and discontinue them. Fierce Healthcare reports that medication adherence improves with better doctor-patient communication. The patient-physician relationship is the single best predictor for medication compliance. Case management, education, decision aids, and reminder systems are also important factors. One step many patients don’t take is discussing their medication regime with their physician. Not just the drugs taken, but how and when they are taken. For example, if one medicine is to be taken four times a days and another three times a day, is there a way to take two pills three times a day and the fourth pill once. Or perhaps a dosage change in the four-times-a-day pill would result in taking it only three times a day? Another issue is that certain pills must be taken on an empty stomach while others should be taken with food. If a morning pill must be taken one hour before eating, then breakfast has to be delayed. Add in a pill that has to be taken one hour after eating and the schedule gets very complicated. Patients should make their doctors aware of all the medicines they are taking and when they take them. Let the doctors know of issues encountered and ask if the schedule can be simplified. As always clarity and communication with your doctor is key. We often hear about drugs being prescribed “off-label.” Many patients have questions about what this means. Is it safe? Is it legal? How can we know that off-label use will help us get better? Off-label use is the practice of prescribing pharmaceuticals for an unapproved indication, age group, dose or form of administration. We will explain more about this shortly. But first, let’s look at how drugs are approved for use in our country. In the U.S., the Food and Drug Administration Center for Drug Evaluation and Research review’s a company’s New Drug Application for data from clinical trials to see if the results support the drug for a specific use or indication. If the drug is found to be safe and effective, it can be marketed for the specific condition for which it was approved by the FDA. Until recently, however, it was against FDA regulations for pharmaceutical companies or their representatives to market a drug for any conditions for which the FDA hadn’t approved. A recent federal appeals court decision now allows physicians and other healthcare providers to prescribe the medication for uses other than the specific FDA-approved indication. That difference is important because it begs the question: Is there science behind off-label use? That is, why would a provider prescribe a medication for a different use? Often, there is anecdotal evidence that a medication turns out to be useful for a different condition. Over time, physicians, and providers, through their own experiences, and those of their colleagues, may feel an off label use would be beneficial to their patients in certain circumstances. The use of bupropion, brand name Wellbutrin, as a smoking cessation drug. The recent court ruling may change this landscape and allow off label promotion under the Freedom of Speech provision. Will we now see drugs marketed for their off-label use? What about Patient Assistance Programs – will patients be able to apply for an off-label diagnosis? We will keep you posted! Do You E-mail Your Doctor? Just about everyone seems to be online these days. Communication with family and friends via email and social media outlets including Facebook and Twitter, as well as texting appear to be replacing telephone calls and letter writing. We wonder what we may be losing in this shift: is our privacy being compromised? Are these news methods of communicating enhancing the depth of our interactions, or are they just surface? And what happens with our medical care? Do you email your doctor? Would you want to? In late November, a new survey revealed that patients want digital engagement with their healthcare providers. Fierce Healthcare (11/29/12) reported on a survey that sought to examine types of relationships between patients and providers including how often, and through which channels they prefer to communicate. Called “Engaging the Healthcare Consumer and Improving the Patient Experience,” Varolii and the Patient-Centered Primary Care Collaborative (PCPCC) report that the majority of consumers would embrace mobile interaction, like email and text messages, but few providers are reaching out to patients through these preferred channels. They also mention that patients with chronic conditions, such as diabetes, see the most benefit from being able to communicate with their provider and monitor their heath through mobile channels and smartphone web apps. They recommend that providers pay more attention to smartphone owners who are developing different patterns of engagement than other patients. What do the doctors think? Does electronic communication compromise patient privacy and patient safety? Are their potential malpractice issues that need to be considered? Is face-to-face doctor/patient time still the gold standard? 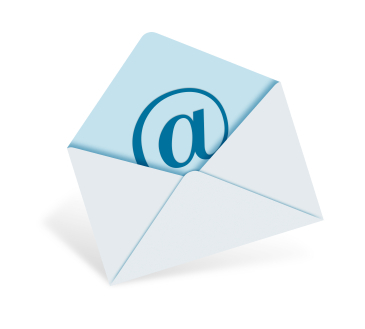 Would electronic communication be compensated? These questions, and others, need to be discussed and addressed by physician groups, and studies on this model need to be conducted and data analyzed, before we can definitively answer these questions. Electronic communication is faster, more efficient & less costly. In this era of healthcare reform, both providers and patients are looking for high quality health care at the lowest possible costs and best use of resources. Many times, people head for the emergency department or urgent care when they are suffering from a bad cold or persistent cough. New electronic services, available for a subscription fee, mean that they can interact with the medical provider from the comfort of their homes with a click of a button- as long as they have the right equipment. A computer, webcam and Internet access is all that is needed in most instances. This method is probably best used for more common, easily treated ailments rather than complex or chronic diseases, but it does represent a new modality of healthcare, and one I think we will definitely be seeing more often! Many folks still have questions about medical homes, so we thought we would try to answer some of your questions today. Q. How does having a medical home benefit the patient? Having a medical home means that you have a healthcare team to take care of you, headed by your primary care physician, who will coordinate your care and ensure good communication among your team members. The concept of “Care” appears to have evolved to “caring for the whole person,” so medical needs will certainly be addressed, but the patient’s social and family situation, mental health, and spiritual and emotional needs will also be considered. Q. How is it different from having a PCP (Primary Care Physician)? In some ways the concept isn’t that different. Your PCP should be the one who coordinates your care. Under this model, your PCP will work with an expanded team to ensure you are getting the care you need, at the right time, in the right place. Communication between team members is highlighted, and unnecessary care, such as duplicative tests, will be reduced, resulting in reduced costs. Q. Will having a medical home cost me extra money? This care model will not cost the patient any extra money. It is designed to enhance your health care while controlling costs to the system by ensuring you receive the care you need. Q. Isn’t this just a ploy for insurance companies to save money? No. U.S. healthcare costs have long been trending upwards and have been deemed unsustainable. Research reveals that inefficiencies in the healthcare system and lack of communication between providers have lead to unnecessary and expensive care. We need to streamline how care is delivered to reign in spending; the Medical Home model will provide the best, most appropriate care for the patient in an efficient, cost-effective way. Although this model will result in cost savings at all levels, the patient is definitely the main beneficiary. The medical home model is sensible and cost-effective. Q. Does this mean I won’t be able to get the care I need or want? In the medical home model, the patient, and family members, if the patient desires, are an integral part of the healthcare team. Your voice will be an important factor in your care. The idea is not to deny care, but to coordinate care to eliminate unnecessary duplications of tests. Q. Will this delay me seeing a specialist? Your PCP will coordinate your care and refer you to a specialist when necessary. No. Actually, there were no death panels in any of the proposed health care reform plans. The Medical Home model seeks to provide the best, most coordinated and efficient care to the patient. The patient’s health and wellness is the primary concern. “We also know that primary care — a single and continuous source for comprehensive care that considers the whole person, along with his or her family and community — supported by up-to-date and complete information that allows medical professionals to make good clinical decisions, has a far different outcome. “Research studies in countries where patient-physician relationships focus on primary care consistently show that people live longer, populations are healthier, patients are more satisfied with their care and everyone pays less. These ‘primary care providers’ do more preventive health counseling, perform more screenings and immunizations, and provide care advocacy and coordination that lead to lower rates of death for heart disease, cancer, and stroke; and lower rates of hospitalizations for ambulatory care sensitive diagnoses like pneumonia. Chronic condition management and medical errors and omissions are significantly reduced with this ‘patient-centered’ primary care. The medical home concept is meant to provide the coordination of care that other models, such as HMOs, failed to achieve. It’s a cooperative effort utilizing the latest medical science has to offer while eliminating unnecessary tests and treatments.